We provide comprehensive training services for material handling, aerial lifts and other industrial specialty equipment. SAFETY EXCELLENCE IS OUR PRIORITY. Equipment Depot is committed to maintaining safe work practices for our organization at every level. Practicing safety at a customer location is a priority for the protection of your employees as well. Our teams take ownership of safety by completing routine training, refresher courses and by embracing a robust and rewarding safety program. Our training professionals can help you in your effort to provide a safe and productive work environment. 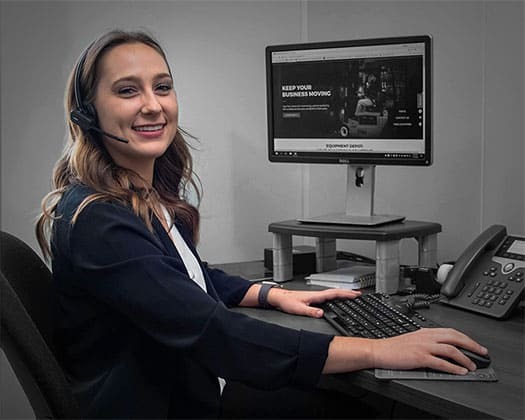 Schedule your teams’ operator safety and technical training from over 20 courses or request customized training products and services for your operators, trainers, supervisors, technicians and even your workplace pedestrians. Experience the benefit of our knowledgeable trainers and full range of services at a dedicated 16,000 sq. ft. facility in Ohio. 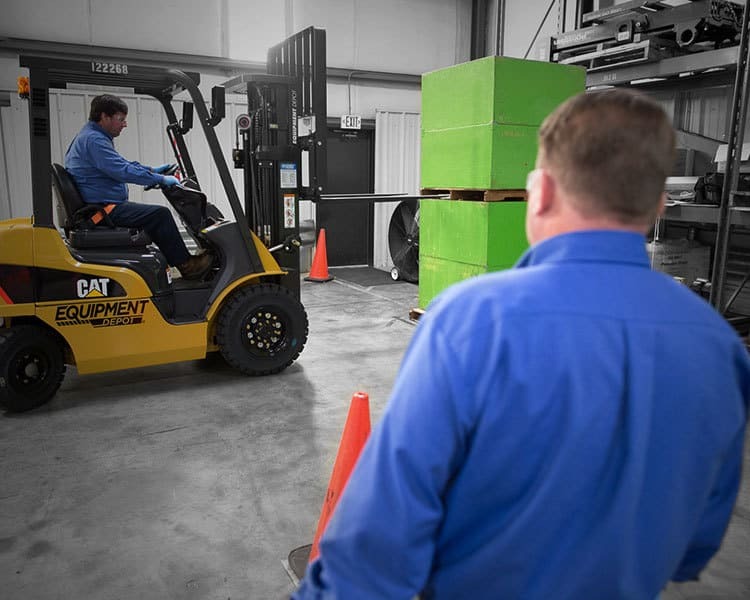 Forklift class room training and operator skills testing is offered for class 1 through 7 of powered industrial trucks, including counterbalanced, narrow aisle and wire guided vehicles. In-depth classroom and hands-on instructions range from 1 to 4-day course for basic and advanced fuel systems, electric lift truck controls, ignitions and hydraulic systems. 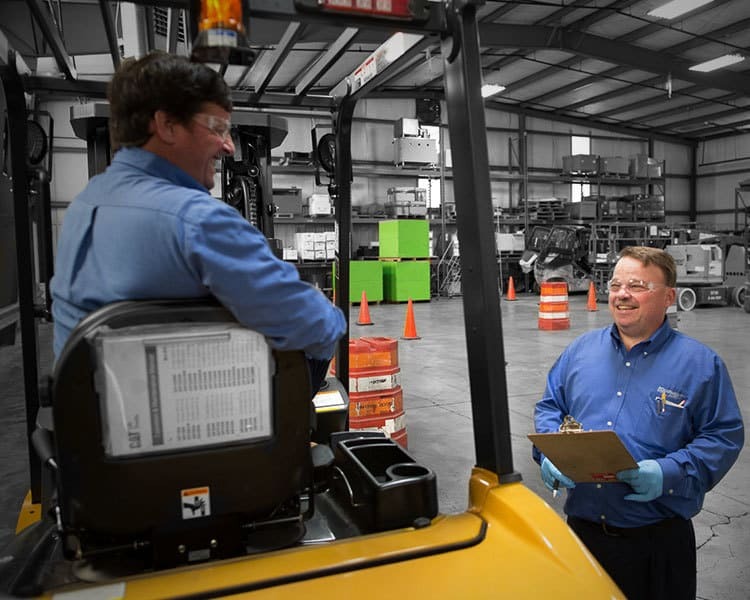 Our training professionals will help your staff receive the knowledge necessary to become qualified training instructors on forklift and aerial lifts by completing a 1-day course. We can adapt any of the available courses to meet your needs and provide consulting services to develop custom courses as required as well. Nothing is more important than the safety of employees – for those operating or repairing equipment, as well as to provide awareness for those walking through job sites. Our Safety Department can provide more information or answer questions about operator safety and technical training to help you meet Federal OSHA regulations and ASME/ANSI standards.